Syria has attempted to shoot down a second Turkish aircraft searching for missing pilots, Ankara announced Monday. Deputy Prime Minister Bulent Arinc told a news conference the Turkish plane, which was searching for the jet that was shot down last week, was not damaged in the incident. He met with reporters following a seven hour cabinet meeting that focused on Syria's attack last week on Turkey's war plane. 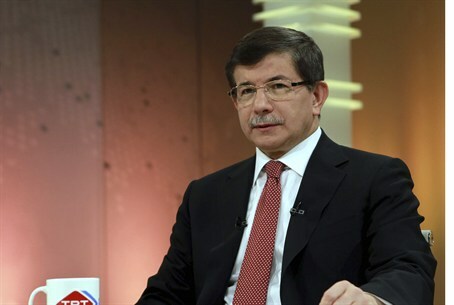 The F-4 reconnaissance aircraft was allegedly shot down while still technically in international air space near the border with Syria – about 13 nautical miles away, according to Turkish Foreign Minister Ahmet Davutoglu. Arinc added that Syria would not go unpunished for shooting down the aircraft, which Ankara said was on an unarmed training mission to carry out a radar system test. Both of the pilots who were aboard the aircraft are still missing. Ankara said that Turkey would protect itself against Syria's “hostile action” within the framework of international law. Syria gave no warning before opening fire. Turkey has called on NATO to convene a meeting Tuesday over last week's attack on its aircraft.